Northern Ireland must achieve victory in Estonia if they realistically harbour any hopes of qualifying for Euro 2012 from Group C, but their lengthy list of absentees make this result increasingly unlikely. The nations square of twice in the next month and are both well in contention to take second spot in the group behind comfortable leaders Italy. With Slovenia and Serbia also vying for the runners-up spot, points are now increasingly crucial and both Northern Ireland and Estonia will be eyeing two victories in their clashes to maximise their chances of qualifying for Euro 2012. 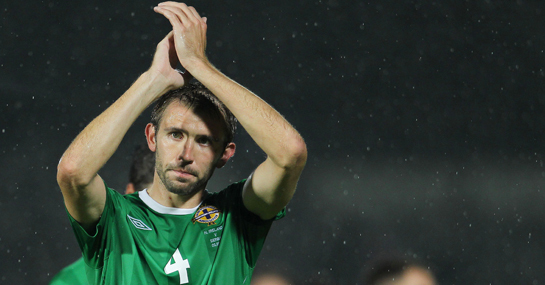 The pair have met on two previous occasions in friendlies, with Northern Ireland triumphing on both occasions 1-0. Northern Ireland’s odds are 2/1 to complete a hat-trick of victories, while it is 8/1 that the correct scoreline is 1-0 in their favour again. However, with goals proving the main problem for Northern Ireland, the fact they are without Corry Evans, Paddy McCourt and most notably Kyle Lafferty for the trip to Estonia is a mighty blow, while David Healy is short of match fitness. Manchester United defender Jonny Evans is another absentee after collecting a one-game ban with a booking in the recent defeat to Serbia. Estonia also tend to have their troubles in front of goal and perhaps the best bet of the Tallinn shown is that the fixture witnesses under 2.5 goals scored, which can be backed at 4/7. The 7/4 offered on no more than one goal being scored could also reap rich rewards at 7/4. Estonia will know the importance of a home victory if they want to keep alive their slim qualification hopes and are certainly the wiser choice in the win market at 11/8. Punters fancying the draw can take advantage of odds of 9/4.